The show gives a poignant glimpse into a despondent, lonely, rural life, full of dying lambs and passing family members. There is nothing to hide behind – the show and the characters are heartbreakingly vulnerable as the world turns beneath their feet, years pass, and life doesn’t improve (and all in 1 hour and 40 minutes!). Although I felt quite dejected by the end, it feels very real and made me feel #grateful for my own life. The plot is gripping and you really do feel for these characters. Alec Secareanu gives an endearing performance as Guy Tree, an immigrant who is happy to work for free in exchange for food and shelter. The xenophobic Ben, played by Alex Austin, is a disillusioned, lost soul, and his pain is at times difficult to watch, albeit understandable. Anna, the eldest of the three siblings, is played convincingly by Rochenda Sandall, as she tries desperately to put on a brave face for the sake of her family. Although the overall mood of the show is sombre, there are moments of snappy, funny dialogue, delivered particularly effectively in the first scene of the show by Ria Zmitrowicz as Becky. Alan Williams also gets a fair few laughs as grandfather Mick, with funny anecdotes throughout, despite the characters’ deteriorating memories. 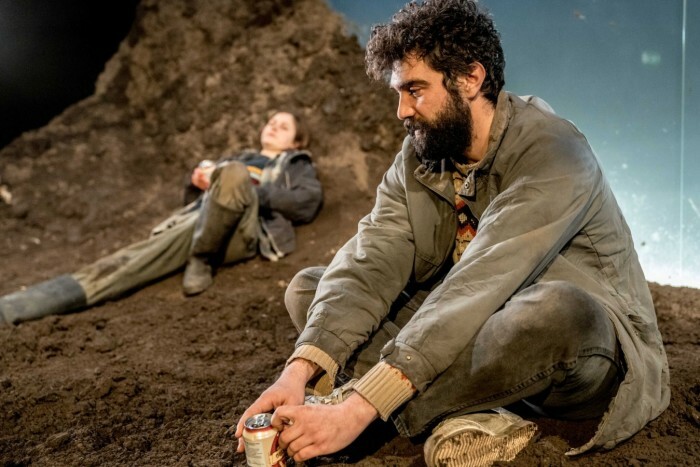 Ria Zmitrowicz, Alex Austin & Alec Secareanu in Gundog (Photo: Manuel Harlan). The show is beautifully directed by Vicky Featherstone, the Royal Court’s Artistic Director, and newcomer Simon Longman makes a strong Royal Court writing debut with this gripping play. 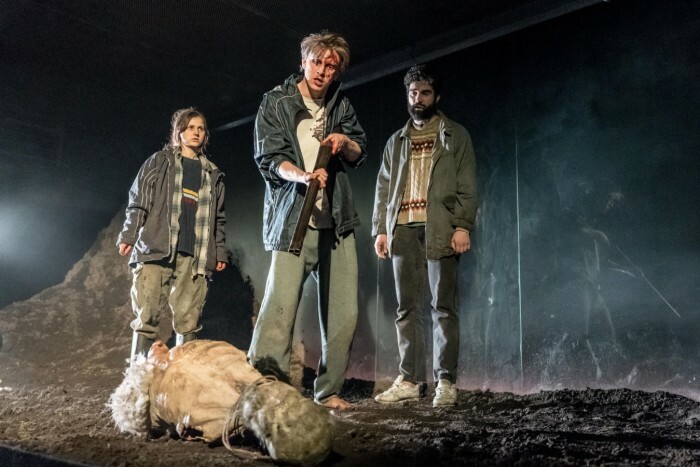 A muddy dystopia, Chloe Lamford’s set is simple but effective, with the mood captured well in the Jerwood Theatre Upstairs’ intimate setting. Rochenda Sandall & Ria Zmitrowicz in Gundog (Photo: Manuel Harlan). 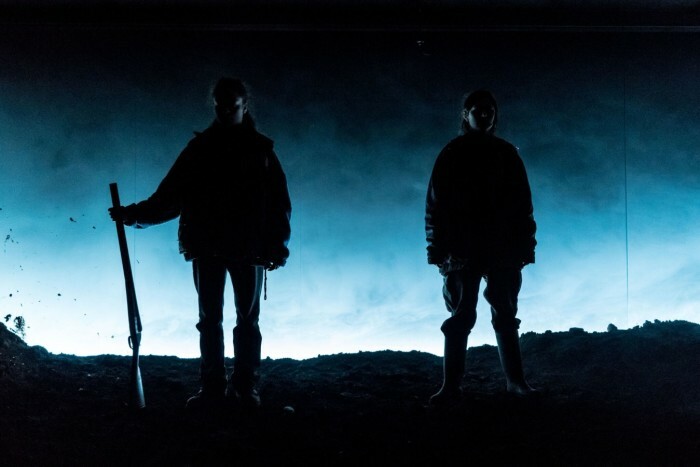 Gundog plays at the Royal Court until Saturday 10 March 2018. You can book your tickets via the Royal Court website.